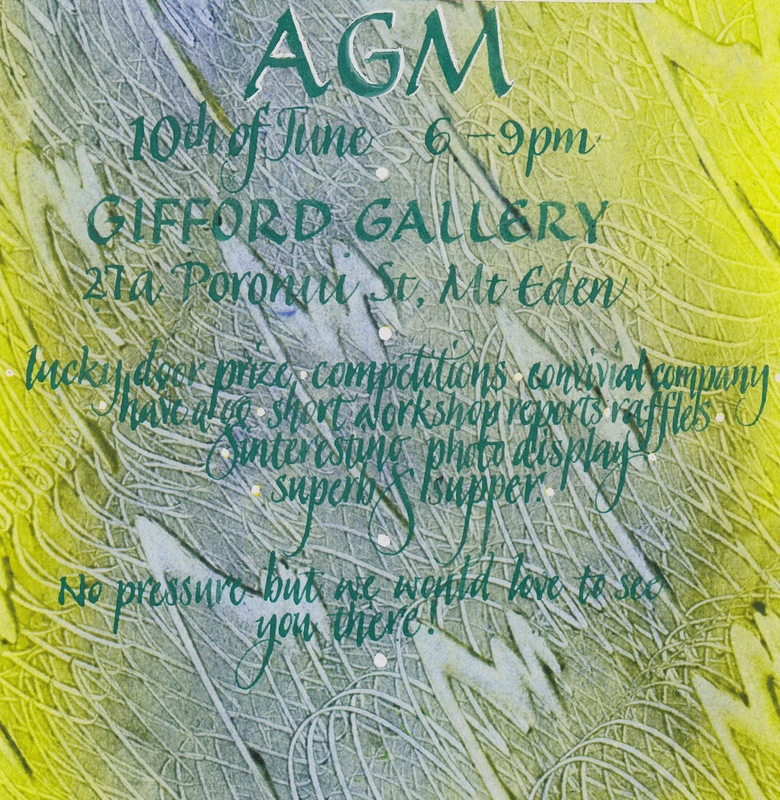 10th June, 6pm - 9pm at the Gifford Gallery, 27a Poronui Street, Mt Eden. Come along and see us on Tuesday evening and catch up with what we have been up to over the past year. We will be running a lucky door prize, competitions, short workshop reports, a continuous raffle, a photo display and if everyone brings a plate there will be a superb supper. We would love to see you one and all.